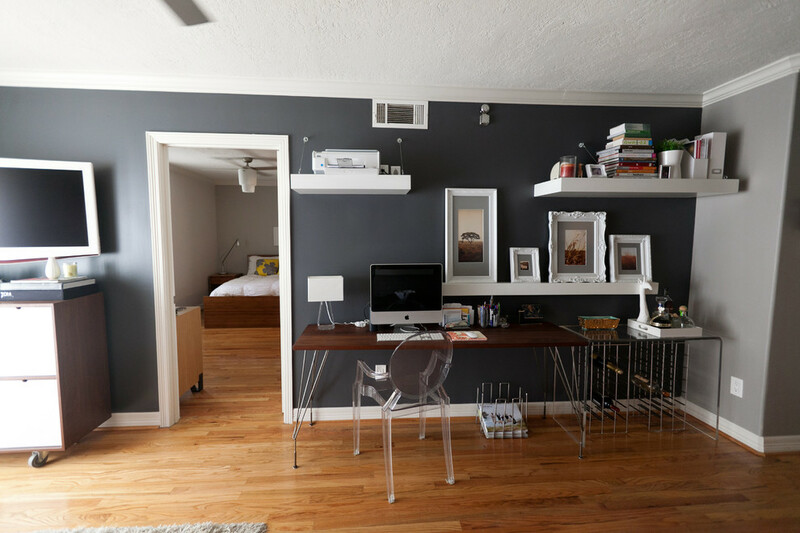 Overcoming a messy home office is tough, but it’s even tougher if you’re not on top of organising your workspace. If you’re regularly embarking on day-long cleaning expeditions to unbury your desk, it’s a good time to think about how you can prevent the mess from happening at all. Luckily, there are a few principles and quick hacks that can get you on the path to organisation. If your desk is a mess of wires, you’re not alone. Your laptop, auxiliary cables for your printer, phone chargers, and more all form a distracting and sometimes indecipherable nest of cords. So, make sure you have a proper organisation system for them. One easy method is to clip cords along the sides of your desk so that they’re out of the way until you need them. It’s also a smart move to label each wire so you don’t have to crawl around shaking cables until you can plug in your printer. It might seem minor, but it’s all part of a larger whole – of organisation. If you’re like most people, your desk drawers are chaotic messes with vague categories of things carelessly tossed into each one. Each drawer needs a purpose – but why stop at dividing by drawer? A great organisation technique – in the office and elsewhere – is to subdivide and compartmentalise your drawers so that everything belongs somewhere. This allows you to clear the clutter from the surface of your desk, of course. But it also means that looking for a specific office doodad – a pen, a stapler, one of those tiny clips or rubber bands – is much simpler, with no drawer-excavating needed. Have you ever met someone who’d just gotten a label maker and seemed to just be going haywire and labelling everything? It might seem off-the-wall at first, but once you have one, you’ll completely understand the utility. Sure, labelling your stapler as “stapler” is a bit excessive – but labelling shelves, drawers, and (especially) closed cabinets tells you exactly what’s where at a glance. You don’t have to waste time opening every cabinet or memorise the contents of every piece of storage equipment you own – which takes a weight off your mind even as it keeps the clutter where it belongs. Your first target for organisation was probably your desk, and for good reason. It’s your main workstation, and therefore it’s more vital to your productivity that you keep it clean and devoid of clutter. But not everything fits in your drawers – so what then? 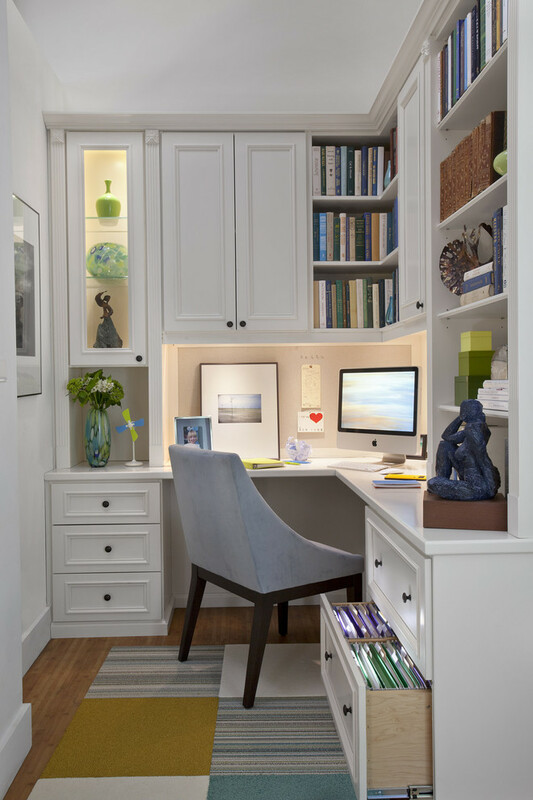 Besides your desk, make sure you’re taking full advantage of the storage capabilities of the walls around you. 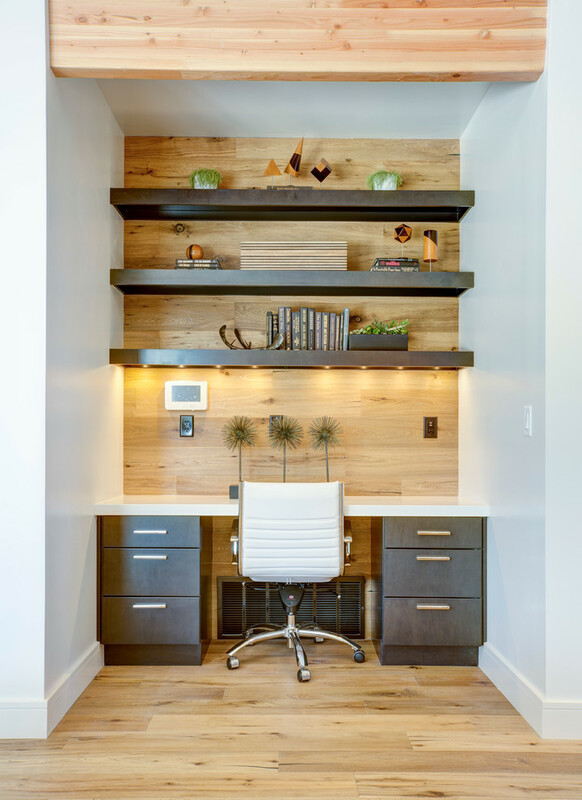 Your walls are a great place to add shelves – but you also might try adding a rack to hang items that you need more often, keeping them out of your desk and within reach. A bulletin board is also a good move, as rather than stuffing important papers in your drawers (where you might forget them), you can keep the most urgent ones in view. Finally, never underestimate the utility of a good whiteboard. You can use it to plan your day, note important events, or even jot down quotes you want to hang onto. The possibilities are endless – for the whiteboard, and for your walls. Finally, while you’re busy cleaning up your physical office and getting it organised, don’t forget about your digital clutter. Just as labelling everything can help you keep your office organised, make sure you have effective naming conventions for the files on your work computer as well. It’s never fun when you’re asked for an old document and it takes hours to hunt it down in the mess of folders on your computer – or to try to remember what you named it. Use folders intelligently, too – having too many is just as bad as not using folders at all, as it can be a pain to navigate and find anything at all. Getting organised isn’t easy. It takes planning and time, but as long as you follow solid organisational principles, you’ll be able to keep your workspace cleaner – and more productive – than ever.